You won't even need napkins to eat these delicious ribs because they are so finger-licking good! 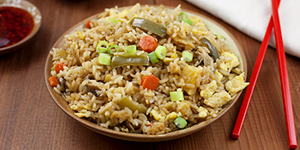 A perfect appetizer for the big game that everyone will love! There is nothing better than slow-roasted ribs covered in a whiskey marinade for the big game. Your game day guests won’t leave any meat on these bones! While many people reach for a beer on game day, let’s not forget about wine! Dry Creek Vineyards in Healdsburg, California, makes some of the best zinfandel around that pairs beautifully with these finger-licking good whiskey ribs! 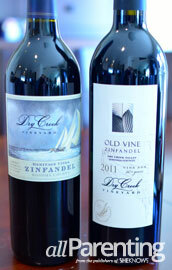 Try Dry Creek Vineyards' Heritage Wine Zinfandel or the Old Vine Zinfandel. 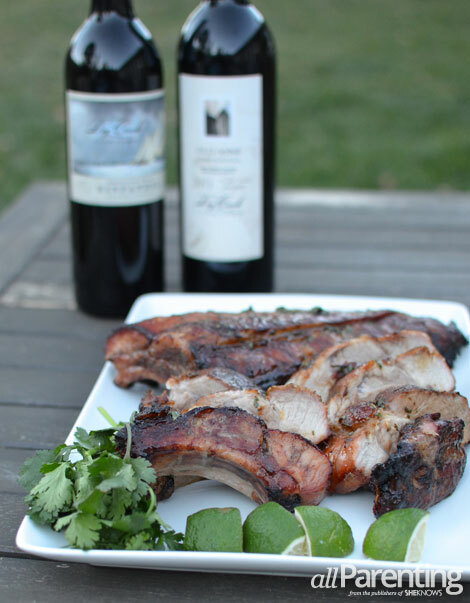 Both wines are great values and pair beautifully with baby back ribs! Cut ribs into sections to fit in a baking dish. To make whiskey marinade, whisk together soy sauce, whiskey, honey, ginger, pepper, sesame oil, cinnamon and nutmeg. Pour the marinade over ribs, turning to coat. Cover and refrigerate for 2 to 4 hours. To make honey cilantro glaze, in a small bowl, whisk together honey, lime juice, soy sauce, red pepper flakes and cilantro. Set aside. Preheat the oven to 300 degree F. Line a large rimmed baking sheet or dish with foil and arrange ribs, meat side up. Roast for 2 hours until tender. Repeatedly baste the ribs with the honey cilantro glaze and roast for another 15 minutes, until browned and glossy. Remove the ribs from the oven and baste until glaze is gone. Preheat grill. Grill ribs over high heat, turning once until lightly charred, about 5 minutes. Transfer racks to cutting board and cut individual ribs. Transfer to a serving plate and enjoy!